SageTV 6.5.1 Beta Released - EVR Support and HDPVR placeshifting Included! 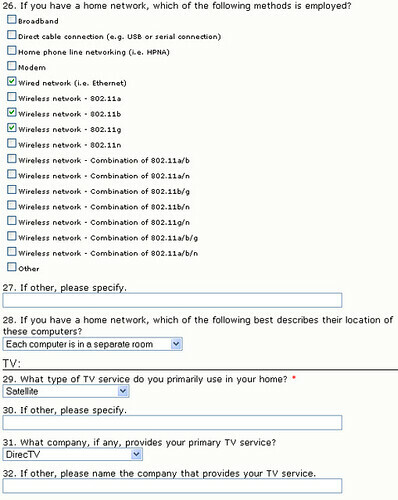 Placeshifter, the SageTV solution for connecting to your SageTV htpc from over the LAN at home or across the internet from any location (work, school, travel, etc) and placeshifting all of your media (Live & recorded TV, Movies, Music, Photos etc) all from the same user interface you use on your home SageTV. Placeshifter hasn't had a major update for a while now so this is a very welcome refresh - especially with the h.264 (Hauppauge HD-PVR) support! 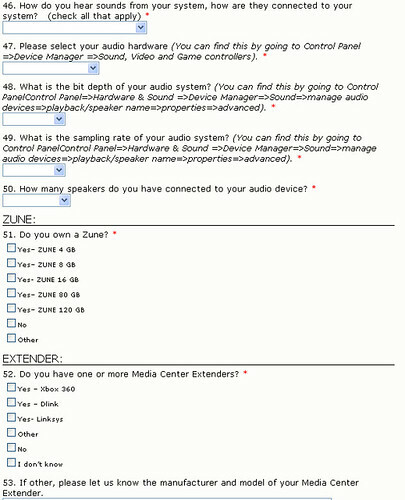 Hauppauge HD-PVR placeshifting playback is now supported!!!! Optimized initial bandwidth detection in the placeshifter so it does multiple test with more advanced statistics to choose the best initial bandwidth estimate. "The HP MediaSmart EX470 is on sale at buy.com for $399 with free shipping. You can also find a 5% off (max $15) coupon online that brings the price down to $385. I bought one to use as my SageTV server. Good way to save on power bills." Get 5% off (up to $15) with this coupon (add it to your cart after adding the Server above) that reduces the price to $385! Not bad for a low-cost, low-power HTPC server. Connects easily to the home network through a built-in Ethernet port. Additional off the shelf SATA I or II hard drives can be added to expansion bays. No tools required. all internal and external drives connected to HP MediaSmart Server). HP offers 24/7 toll free consumer support. The winners were randomly chosen (with the help of random.org) and each have responded back to me. I'll have these shipped out hopefully tomorrow morning and will confirm with each of these guys via e-mail. Thanks to to the guys at USB-UIRT for the free USBUIRTs and thanks to everyone who participated - more giveaways coming soon. Some will be small and others will be pretty nice surprises ;) so stay tuned to GeekTonic. The contest entries posts in the comments of the review were pretty interesting. 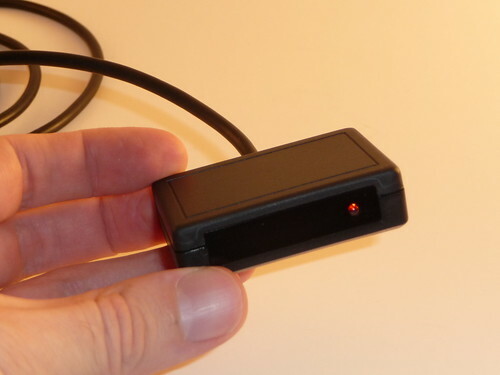 Most everyone sees the USB-UIRT as a way to control their SageTV or BeyondTV HTPCs but there were plenty others using other HTPC programs and even a few non-HTPC applications. And don't forget, you can still purchase a USB-UIRT at their store if you want them. They are worth every penny in my opinion. Newegg.com (affiliate) has theHauppauge WinTV-HVR-2250 TV Tuner for $120 (features: Dual tuner TV card from Hauppauge lets you watch and record two different TV channels, and it doesn't matter if they're digital or analog. Supports FM Radio, ATSC, NTSC, ClearQAM. Comes with a remote control and two IR blasters to control set top boxes. I got a tip this morning on a the best price I've seen thus far for the Hauppauge HD-PVR! 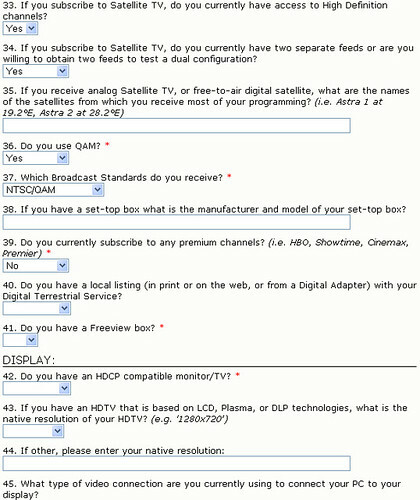 If you want to time-shift or record your HD content to your HTPC without DRM Or you are in the market for one of those awesome Hauppauge HD-PVR 1212 devices (read my first impressions on the device here) that let you record any content (HD, SD, digital etc) from your cable box, satellite box or any other device with a component cable output - Dell(affiliate) has the best deal I've seen on these so far with the HD-PVR for $183.99 including shipping! Hauppauge Computer HD PVR High Definition Personal Video Recorder (1212) $183.99 with Free Shipping! This is an awesome deal. If you've been waiting for an Hauppauge HD-PVR, this is the time to buy! 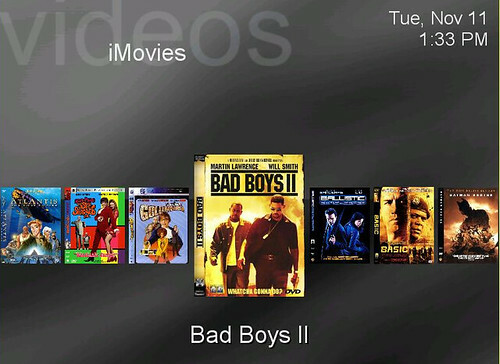 SageTV users have a new way to display their movies today. A plugin made by SageTV forum member “jvl711” called iMovies brings a redesigned Movie/Video interface that looks and works much like the Apple Coverflow interface. It’s an early beta version so definitely not in it’s finished form, but worth trying out. 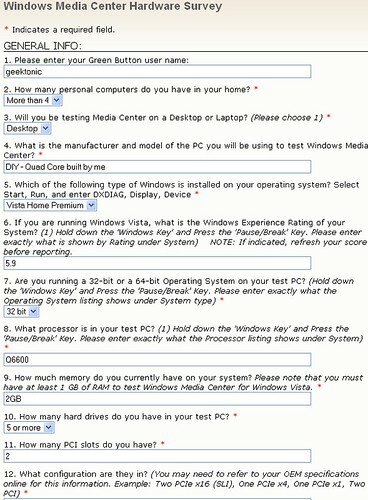 The SageMC user interface is required for this plugin to work. This first screen-shot is the basic user interface for iMovies. It works much like the coverflow interface although the animation is not yet as good. This next screen-shot shows the alpha search bar at the bottom. This provides a way to quickly browse through a larger collection and jump-to a title that begins with a certain letter. There is also a way to drill-down by genre, group etc. After years of stringing Media Center users along from XP Media Center to Vista Media Center to the much-less-then-expected Fiji we've been told that Microsoft's Media Center would be getting a Cable-Card-like DirecTV tuner. 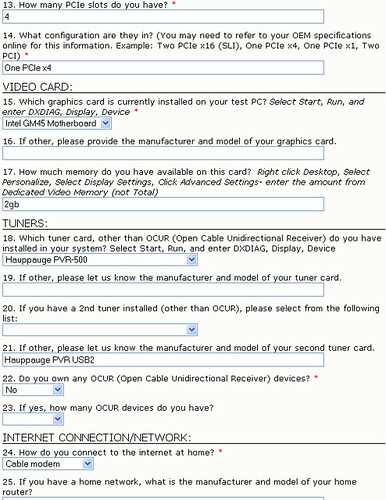 Fast forward to now where Ed Bott discovers a DirecTV HDCP-20 USB Tuner driver. 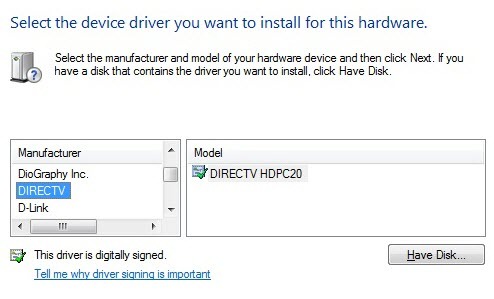 This doesn't necessarily mean there is a HDCP20 device even created at the moment but the discovery of the driver and the earlier announcement of h.264 support in Windows 7 certainly does improve the odds that we'll see such a device sometime after Windows 7 is released late 2009 or 2010. There is no doubt that if this is true and this device arrives and delivers as is hoped, it will make an immediate impact on the HTPC world. Still, if you're more about getting Satellite or Cable digital/HD channels on your HTPC here and now - check out the Hauppauge HD-PVR along with SageTV, BeyondTV or GBPVR. Word is out that SageTV will begin a new beta version that includes EVR support soon. What is this EVR they speak of? The short of it is this: EVR, short for Ehanced Video Renderer is the next video renderer iteration after VMR7 and VRM9. Better support for playback timing and synchronation and more importantly it means hardware accelleration with h.264 content! For those using the Hauppauge HD-PVR with a PC (and not an exender which handles playback perfectly anyway) this should offload the CPU and help with visual quality. Even if your like me and your dual-core computer handles the h.264 files well, this is still a good thing as it will allow your CPU's to worry about things other than rendering. We are well beyond the Fall TV season premieres of 2008, but there are a few mid-season replacements that arrive this week. Ruby (8pm on Style) A new reality series that follows 500-pound Ruby Gettinger’s attempt to lose weight and inspire others. Cha$e (10pm on SciFi) A new reality show for SciFi that pits runners against each other on life sized "game boards" in the quest for cash. The runners must avoid being caught by the hunters who stalk them during the games. Sounds a bit weird, but any reality tv show on SciFi is probably going to be strange. Extreme Trains (10pm on History) The inner workings and past lives of the amazing locomotives that haul huge loads across the nation and deliver passengers to their destinations. The series talks about these trains roles in American history as well as their role in American life today. Estate of Panic (10pm on SciFi) Another reality TV show for SciFi - this one where the contestants get scared. 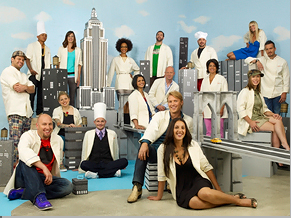 Top Chef (10pm on Bravo) Bravo's popular reality TV show returns for a 5th season. I'm working on the Winter 2009 TV Season - lots of highly anticipated TV shows coming up including Lost and 24!